Plumbing isn’t easy and it isn’t the kind of work that can be done by anyone. It involves the repairing and installation of variety of taps, pipes, washers, valves and lots of other things. So, it is very important to hire the professional plumbers because they have the skills and the training which is required to carry out this kind of tasks very effectively. The professional plumbers are able to provide you the hastiest service. When you are facing the really big problems then it becomes very important to hire someone who is able to address the problem in a short period of time. For instance, if the tap of your sink is leaking to a point where the water is overflowing, then you will really need to find a professional plumber who can fix your problem straightaway. Sometimes the problems do appear to be very simple. However, in actuality, they can be quite serious and might get more complicated if you try to fix them on your own. So, it is vital to call a professional plumber because they know how to identify and fix the source of the various plumbing problems. As we know, professional plumbers have a rich knowledge about all the parts that could be associated with their profession. They know the correct type of parts that can be used when fixing any kind of issue. And so, if any plumbing parts are not available in the market then they know that which parts can be the most suitable alternative to the original. When hiring a professional plumber, you are able to receive some valuable advice about the plumbing system of your home. This will be very useful, particularly if the network of water pipes in your home is rather old. The professional plumbers are also capable of giving you the various useful opinions about your house. You can also get some advice on the latest parts and products that are available in the market. This will definitely help you to save loads of money that the old products or fixtures may be costing you. For example, you will get a lot of relief if you install the newer water heater instead of an old heater which is increasing your electric bills. If you hire a professional plumber and you’ll be satisfied with his services then you can call him without any kind of hesitation whenever you face any kind of problem. In other words, the professional plumbers are capable to establish a trust and bond by providing their excellent services. 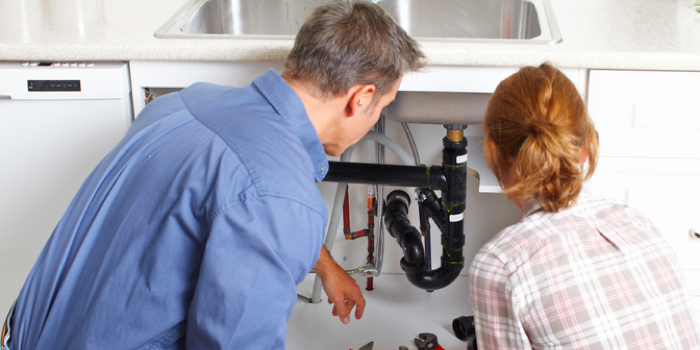 It is essential to hire the professional plumbing service. But before hiring any plumber do not forget to check the testimonials and referrals that other people have given to the plumber. In this way, you will get an idea about the skills and experience of the plumber. DMS Plumbing is a plumbing company that ensures the best in plumbing solutions at competitive prices. DMS Plumbing has plumbers on call 24 hours a day, 7 days a week. DMS Plumbing has plumbers in Johannesburg operating on domestic, commercial, retail and hospitality levels. DMS Plumbing ensures an all-inclusive plumbing experience with excellent service delivery from trained and qualified plumbers. DMS Plumbers operates on a national level for commercial projects, extending our commercial plumbing services to Cape Town, Durban, East London and Plettenberg Bay.